Is art more than just a hobby? Do you long to make a difference in your community? 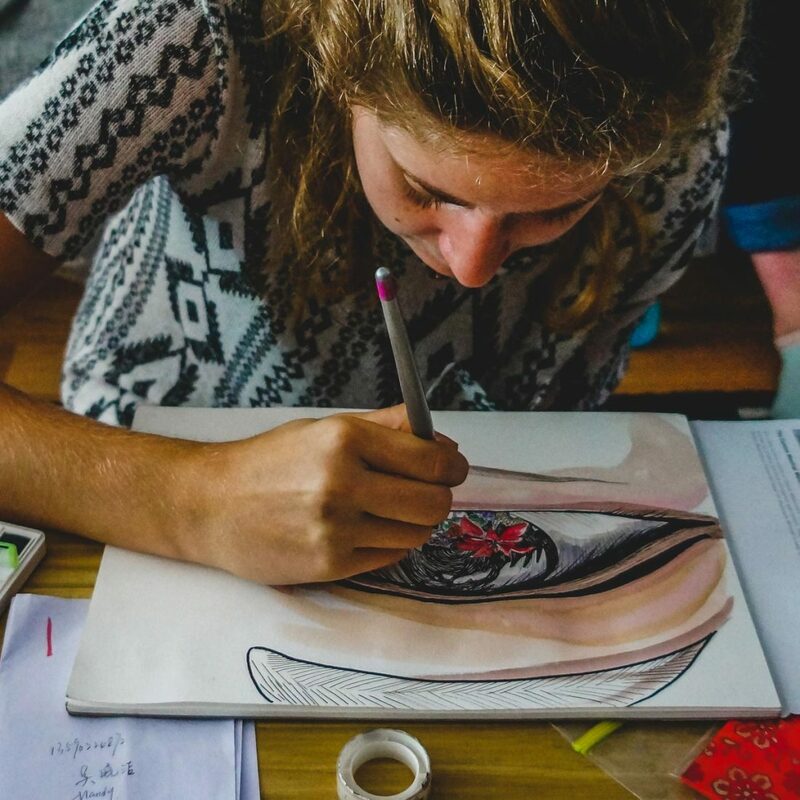 Learn to use your creativity to draw people into the Kingdom of God on our Art Evangelists DTS elective! The Bible opens with an introduction of God the Creator and we are made in the image of this Creator God. Whether you are a trained professional or just starting out, our desire is to give you an opportunity to grow in your practical skills and understanding of God’s heart for creative expression. Pursue a degree through the University of the Nations (UofN)! The Art Evangelists elective is designed to go hand in hand with our Art Evangelists School – a second level school within the UofN’s College of Arts & Sports which we run at our Newcastle campus every July. Opportunities to use art as an evanglistic tool. As part of the Art Evangelists elective you will join with students from the other electives running in your preferred quarter in one DTS lecture phase. Each DTS will have a coordinator gathering students around that elective. This may come in forms such as small group activities, excursions, events, or guest speakers. While you’ll have specific times for your DTS elective, this will not occur every week. It is important to see electives as a point of gathering similar individuals without taking priority over the core purpose of the DTS. However, we cannot guarantee that each DTS elective will have a major representation on the outreach phase. Our hope is to look for how we can incorporate the elective on outreach but factors outside our control such as culture, event coordination, and ministry contact preferences may affect what is possible. leader with an affinity or passion for that elective (but not required). Low level, structured inclusion during lecture phase. Outreach inclusion of the elective where culturally possible and appropriate. Take your art into the nations! Using the skills you have learned over the lecture phase you will be equipped to continue sharing God’s heart for the world through your art. The outreach phase will take you to places you’ve only ever dreamed about as you take the Gospel into the nations! Make God known as you give away what you’ve learned in practical ways. Grow in confidence as you share your testimony to large audiences. Be willing to serve as you see the need of the location you’re in. This could be through kids ministry, sports ministry, cleaning up neighbourhoods, assisting the homeless, running Bible studies, street evangelism, teaching English and more! Discover how your passions and skills can be used for God. Gain fresh perspective as you travel cross-culturally and discover God’s heart for the nations. Papua New Guinea, Thailand, Cambodia, The Philippines, Uganda, South Africa, Spain, Germany, Norway, Sweden, Australia & New Zealand.